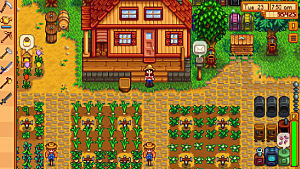 Stardew Valley is pretty great as it is, but its mod capabilities are nothing to scoff at, and the community has been hard at work customizing their game experience since release. 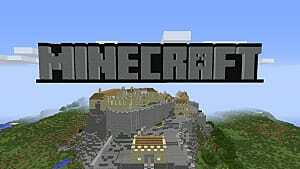 There's already plenty of mods for the game, but remember its modding scene is still in its infancy and large overhaul mods aren't out yet. I'm eagerly awaiting mods adding more crops and produce myself, but what's out now will certainly do. 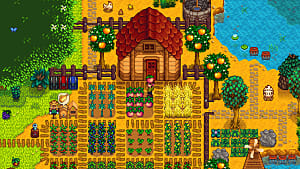 Many Stardew Valley mod developers currently use a modding API called SMAPI to apply their mods to the game. SMAPI's initial developer dropped the API for another one named Storm. Someone else has taken up the task of continuing SMAPI development. Some of the mods listed here use SMAPI, some use Storm. The API required will be mentioned with the listing. Make sure you carefully read each mod page before installing. 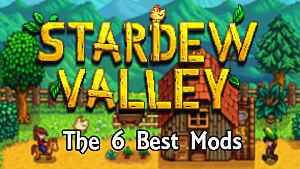 Stardew Valley now has a section on Nexus Mods, but the community hasn't fully moved yet. All of the mods listed here save for one are on the forums. A very nifty mod that lets you adjust how long it takes for 10 minutes to pass in-game, effectively giving configurable day lengths. The game's default makes 7 real time seconds equate to 10 minutes in-game. Players who want to get more done in a single day should definitely jump on this one. 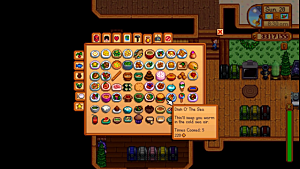 If you miss time freezing indoors like it does in Harvest Moon, you need this mod. Even if you haven't played Harvest Moon, FreezeInside is still a wonderful mod to have. 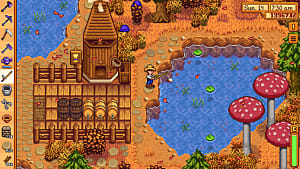 Time goes by fast in Stardew Valley and that time saved taking care of your livestock can be better used farming, fishing, or chatting it up. Does exactly what it sounds like: adds health bars to enemies while adventuring. Check it out. 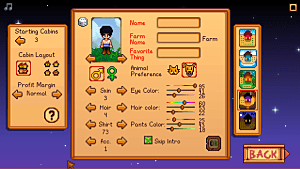 A pretty simple mod: gives you a grid for your farm that can be toggled on and off. This one's great for the farmer picky about aesthetics or optimizing their yields, that doesn't want to make mistakes. Super simple, super useful. This changes the shape of the area sprinklers water, allowing for different optimal (lazy) crop layouts. The areas in this mod aren't necessarily ideal, but some farmers can definitely make use of them. They're very nice for crops that grow on trellises. You wanna run fast!? Yeah you do! Sprint! lets you sprint across Pelican Town at faster speeds than the standard run and has a few configuration options for you to play with. You can have sprinting drain your stamina and set the amount it drains, or not have it drain at all. Very convenient for most farmers. 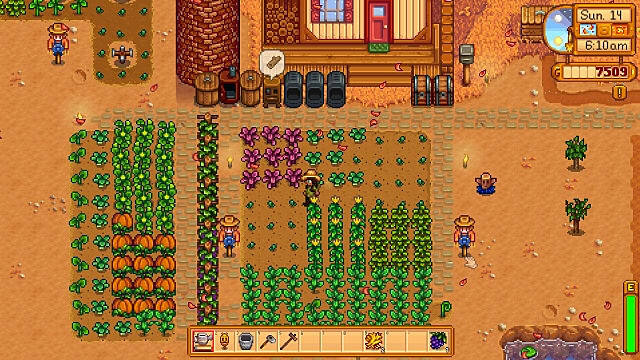 If you want to cheat your way through Stardew Valley, here's your mod. This bad boy packs a ton of cheats into an in-game menu for easy use. Have at it if you want to have an easier, more "God mode" time with the game. 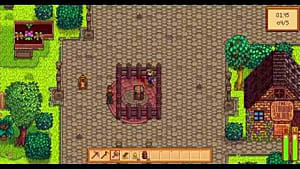 If you want to improve the quality of your Stardew life, here you go. At the time of writing, this is one of the biggest reasons people choose SMAPI over Storm. It's worth the install. Oh, you want this one. You definitely do. Gone are the days of wondering about the sell prices of produce, as long as you have this mod installed. Prices are displayed on mouseover much like some MMORPGs. It's so convenient it's sickening and it's 100% worth an install. All of these mods are pretty great, with Better RNG bringing more variation in weather and luck patterns. These are only a few of the mods currently available for Stardew Valley. The official forums have made multiple subforums for types of mods, but with Nexus Mods now supporting the game it's likely we'll see more mod creators host their content there than the forums.